Wednesday and one play sent out already in sports. Will there be more tonight?? 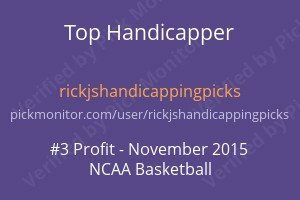 Tuesday we had 3 one unit plays and went 2-1 for +1 unit. In the NBA we went 2-0 with New Orleans and Phoenix both winning while in the NHL we lost with Florida +126 1-5. 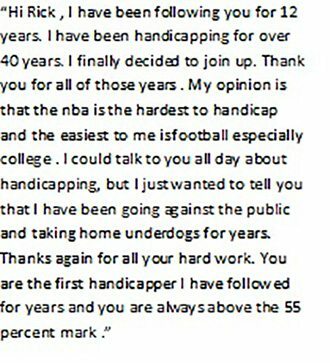 As I had indicated previously many professional handicappers are happy to bring in 30 units a year betting sports. I will be sending out plays starting around 3 or 4 tonight. I do not see anything yet in the early college hoop games. I am rushed for time right now with the market closing and I have to head out the door for a bit. Be back a bit later.